At Bridget's Dance Studio we encourage students to try many styles of dance. I grew up taking as many dance classes as possible but, I'm sure my mother spent a small fortune to give me a holistic and great dance education. That's why I've structured a tuition plan that won't break the bank. I want my students to grow and develop their dancing skills with me through out the years.....So, the more hours a student dances.....the less tuition they pay per class. Tuition is paid in three month increments due by the first class of that month. NEW FOR FALL 2018…no more registration fee. Introducing the All Inclusive recital fee which includes two parent recital tickets, a recital T-shirt with your dancers name on the back, and a DVD of your child’s recital. Recital fee is $100 and $15 additional for each sibling but you never have to remember to place your orders. Stress free…we got you covered. Classes that do not participate in the recital do not have to pay a recital fee in September. This fee is also 100% reimbursable if you need to discontinue your classes. Tuition will remain the same each time regardless of holidays or cancellations due to weather. Make-up classes will be provided at instructors discretion. There will be a $30 charge for each returned check. Please take a look below for class prices. Regular season tuition based on total class time taken: 2018 - 2019 Prices. Summer classes are a flat rate and can be seen on our summer flyer. DANCE TEAM PACKAGES - $450 - Includes unlimited classes, competition coach fee, and all extra practices. Each Student is required to purchase a costume for each style of dance performed in the recital. The costume fee is $60 per costume for Tip Toes, Basic Dance, All Hip Hop, Acro and Irish Step. 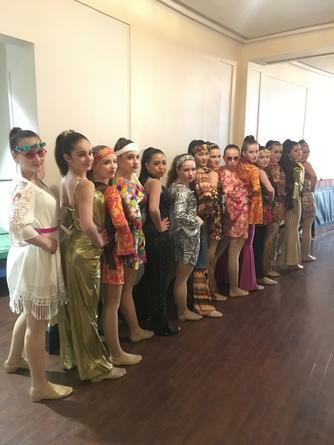 : For Primary, Elementary, Intermediate, and Teen combination classes (Ballet, Tap, Jazz, Contemporary and Lyrical) costume price depends on the amount of styles the student takes. One style - $60 Two Styles - $115 Three Styles - $165 Four styles $200 Five styles $250.00. Staff will of make every effort to size the costumes appropriately. However, some minor alterations may be necessary by the students. Adult Classes - $10 - $15 per class. Private lessons are usually offered to competitive team members for solos, duo’s, or trios. We also offer private technique classes to non-team members depending on studio availability. There is a one time choreography fee due prior to your first lesson of $75. This is to compensate your choreographer for the time they use to find appropriate music selections, costumes, create your individual choreography and overall be prepared for your special competition routine.